Where are you displaying your project? 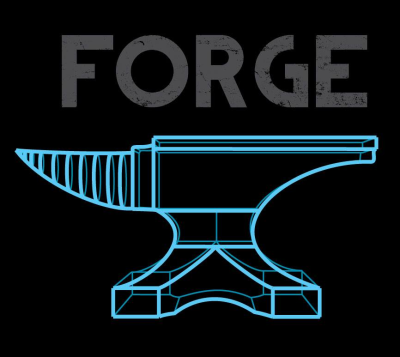 FORGE Team: FORGE provides geek manufacturing solutions to the general public. We leverage 3d printing and digital design to provide traditional engineering services for a much lower price and in several cases, faster. We provide these services with a determined and progressive attitude that you would expect from a company called FORGE. FORGE Team: We do it to make manufacturing accessible to people without being cost prohibitive. We do “it” to help people express themselves. We do “it” to change perceptions about manufacturing. We do “it” to provide customized, sentimental items to people that they care about. We do “it” because we feel like Santa Claus when we hand the prints to them – and that’s a pretty good feeling. Can you share your founding story with us? 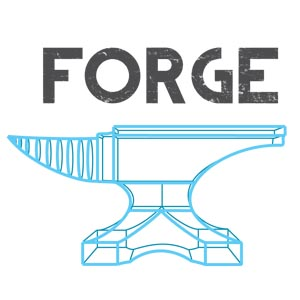 FORGE Team: FORGE provides high tech 3D printing customizations in a simplified, mom-friendly environment. FORGE was created when several daydreamers decided only actions, not just brainstorming, could turn their “What -ifs” into “Why -nots”. What if 3D printing was available and visible locally? Why not. What if it was as easy to manufacture something as it was to design a brochure? Why not. What if this technology helped define Jacksonville’s technological niche? Why not. What if we could establish a retail store with only goods manufactured locally? Why not. What if, in pursuit of our own happiness, we could make others happy? Why not. Now, FORGE is open in downtown Jacksonville to experience the pains and joys of emerging 3D printing technology firsthand and share our experience, and passion, with everyone that stops by. What if you stop by? Why not. FORGE Team: Adam “Dukes” Dukes and Bryce Pfanenstiel went to high school together in KY and then split up to attend Washington University and the University of KY, respectively. Wayward at heart, their combined employed experiences included parsing DNA genome sequencing data, founding one of the first Wireless Internet Service Providers in KY, working at a railroad and managing a foreclosure investment portfolio. Sure, they were busy, but they checking in quarterly and then it gets fuzzy. Who mentioned 3d printing first? We still argue about that but whatever, we both ended up getting excited. They both relocated to downtown Jacksonville to provide on demand, customized manufacturing via FORGE. And, dudes and y’all, here we are. FORGE Team: Continue expanding our on site equipment (3d scanning and a SLS 3d printer) while being apart of the success of our prototyping clients. We also would like to add more members to our team so we can get some rest.